Experts note that milestones such as turning age 21 are important because they trigger self-reflection. Mine began in 1967 but nothing psychedelic. My nineteenth year was bookended by two thought-provoking hit songs, “The End” by The Doors which was released in January and ten months later, “Nights In White Satin” by the Moody Blues. I especially took to the poem read at the end of the “Nights” recording, titled Late Lament. For more than four decades, these songs and the related poem have often burst forth spontaneously in recitation. I was a bit too young when I started checking things off the “adulting” list. Doing so I burned through my 20s like a blow torch and if I had to do them over, many things I would take much more slowly if not differently. 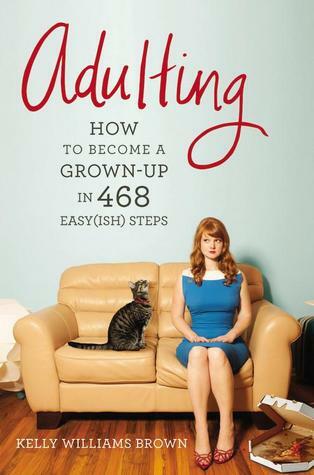 By the way, Adulting: How to Become a Grown-Up in 468 Easy(ish) Steps is a very insightful new book by Kelly Williams Brown, one of the founders of Tumblr. It is hilarious, even for those of us who think we have that part down, and a must read for parents of older children still stuck in their 20s but sadly now in their 30s and 40s. From personal experience, it gets easier in your 60s. I asked our consultant, Wes, to start with me, then in my early 30s, and assess how I could retool some of my flaws. One bit of counsel was much easier said than done but I worked at for the remainder of my career and still work at it today in retirement. It was from RHR that I learned the importance and power of alignment both among staff members and between leadership and governing boards, something that served me well through three transitions I made over the years both into and out of positions. In their 2012 basic primer Inside CEO Succession, two senior RHR executives review a study of critical areas needed in a CEO. It turns out that some “softer” characteristics of leadership are more important than may others that may be more easily observable. One of these is an understanding of the story at the center of an organization and its products, as described in a Harvard Business Review blog last month. In my career, the product was always the community. Another “soft” but critical characteristic is at the center of a new book entitled Compelling People – The Hidden Qualities that Make Us Influential, authored by John Neffinger and Mathew Kohut who also co-authored an article in the July-August issue of the Harvard Business Review. The book is a synthesis of many studies but one important aspect is an explanation of the importance of strength and warmth in an executive. They are complementary aspects that exist in what the book details as hydraulic tension. The authors muse that these attributes do battle in our blood. It is well worth reading the book just to better understand these elements in ourselves and maybe more importantly, in others. I always had the strength aspect down pat and if anything, had to work to moderate it. But I felt I always had to really work at warmth and was put off when so many, particularly other men, seemed to use it merely as a form of manipulation or duplicity. My daughter, an attorney and compliance officer in healthcare, has the perfect balance. Organizations and communities for which I labored were forgiving of my flaws largely because they saw my strength through the lens of what the authors call “unyielding commitment” to mission. They gave me the benefit of the doubt when it came to warmth because I worked for communities where residents had a high degree of love and pride in their community and despite my shortcomings they could tell I genuinely shared that. The warmth didn’t always translate one on one, but I was eventually deemed more genuine when my aversion to schmoozing or glad handing was manifested.